At Steps Ahead, all instruction is geared towards motivating the individual student and encouraging personal exploration of movement. Our instructors are highly experienced in their art, and generous with their knowledge and encouragement in class. "To watch us dance, is to hear our hearts speak..."
Danielle began her dance training at the age of 5, choreographing at the age of 16 and is now living her lifelong dream as Owner & Artistic Director of Steps Ahead Dance Studio. Danielle graduated from Queens College with a BA degree in Theatre Dance. During her college years, Danielle choreographed mini-musicals for the Big Brother and Big Sister Foundation of New York City and choreographed / performed vocally in Las Vegas, Nevada and Cancun, Mexico. In addition, Danielle was chosen to be lead female vocalist and choreographer of pop group "1 Nation" which performed and filmed in London, England. Danielle was also featured as a female vocalist in the song "Night Fever" on D.J. Skribble's "Traffic Jams" album. 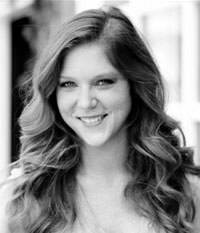 Danielle teaches Lyrical, Contemporary, Ballet, Jazz, and Competition classes to students of all levels and prepares dancers for Performing Arts School auditions. Danielle's choreography has won numerous special awards, 1st Place Platinum awards and choreography awards. She is an inspirational teacher who believes in making her students great human beings as well as elite dancers. Her greatest pleasure is watching her students grow and express themselves through dance. "I am thankful every day for the people that I have met, for my entire Steps Ahead Family and for being given the opportunity to express myself through this art form. I am so truly blessed to be able to do what I love for a living. I love inspiring dancers and making a difference. I lead by example and believe one can only truly succeed by giving 100% of themselves in all aspects of life." Caitlin is from Sarasota, Florida and holds a BFA from the University of the Arts in Philadelphia, Pennsylvania. After graduation, Caitlin moved to New York City to pursue her dance career. During her time in New York, she has performed works by Derek Mitchell, Chris Rudd, and Michael Susten. Caitlin danced as a company member for Arch Contemporary Ballet for the spring 2014 season. 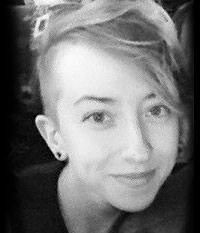 Caitlin teaches Acro, Jazz, Lyrical & Modern at Steps Ahead and loves sharing her knowledge of dance with young artists. Erica has been dancing since the age of three and is trained in all styles of dance. She began her formal training as a dance major at the famed Fiorello H. LaGuardia H.S. of Music and Art & The Performing Arts in NYC. During her high school years, she intensely studied ballet, Graham technique, Horton technique, jazz, tap, vocal, choreography and musical theatre. 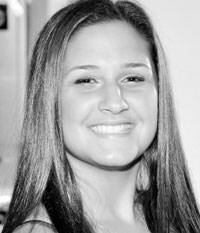 Erica is a graduate of Queens College holding two BA degrees in both Elementary Education and Dance. She is also a graduate of Touro College with a Master's Degree in Special Education. 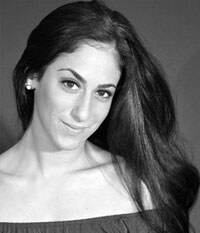 Erica is currently a certified NYC dance educator, teaching dance at elementary school P.S. 216 Arturo Toscanini. Her background as a classical and commercial dancer has transformed her into a diverse performer. Her commercial work consists of performing as a backup dancer with Kim Sozzi, Robyn S, and Bad Boy Joe, as well as performing in the "History of House" dance set for Beatstock Summer Concert. Erica has performed as a backup dancer with freestyle singers TKA, Judy Torres, Rockell and rapper Vanilla Ice in KTU's concert tour Freestyle Free For All. Erica also performed as a backup dancer with Disco legends, Linda Clifford and The Trammps, as well as performed and choreographed for disco classic "Mandolay" by LA FLAVOUR for concert Disco Ball. Her choreography for the T.R.U.E Entertainers, was performed for the "Hollywood Star's Pageant and Talent," filming of TLC's Toddlers and Tiaras in 2012. Erica's most recent project integrates her love of dance with her passion for a great cause. She has created and organized an annual dance fundraiser, "Dancing Towards a Cure", raising money for the American Cancer Society for the last four years. 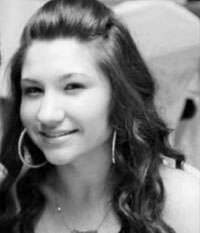 She has taught at Steps Ahead Dance Studio for 13 years in all styles of dance and among all age levels. The talent and passion of her students is what truly inspires her to teach! 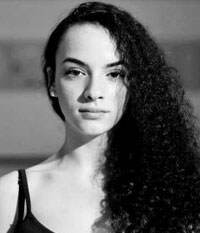 Vanessa has been dancing since the age of 5 and has received training in Ballet, Tap, Jazz, Hip-Hop, Lyrical, and Modern. She has participated in school events, competitions, community service events. Vanessa is a graduate of John Adams High School, but was a student at Christ the King Regional High School her freshman year where she was placed in advanced level dance classes. At John Adams, Vanessa joined the cheerleading squad during her junior year and was named co-captain, making her responsible for creating routines. She is currently a dance major at Queensborough Community College. Vanessa was one of the few students chosen for performance opportunities, such as having the amazing opportunity to perform with the professional modern dance company, B3W, in their piece titled Spin Art. She has also been offered scholarships for summer dance intensives. Although this is only her second year teaching, the experience has led her to make the decision to major in dance education when it is time for her to transfer to receive her Bachelor's Degree. She loves watching her students grow as dancers and finds it so rewarding. 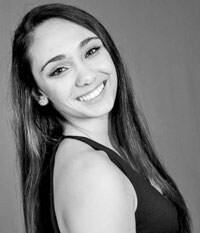 Kyra has been dancing for 23 years and is trained in tap, jazz, ballet, contemporary, modern and hip-hop. She teaches jazz, tap, hip-hop and competition classes at Steps Ahead. Kyra graduated from Queens College with a Bachelor of Arts degree and honors for superior scholarship in Drama, Theatre, and Dance. In her undergraduate study, Kyra was awarded the Farah Marcelus Choreography Award for outstanding creative achievement. Kyra is currently a graduate of the Master of Arts in Teaching program at Queens College where she has received a dual certification in Early Elementary Childhood Education and Special Education. On the basis of her outstanding record of scholarship at Queens College, Kyra was inducted into the International Honor Society in Education under the Kappa Gamma Chapter of Kappa Delta Pi. Kyra has recently been trained and certified by fitness practitioner Pepper Von, mentor of the world-renowned Jabbawockeez, in FierceFUNk Fitness. FierceFUNk is a new, exciting dance-fitness program that combines a street style funk movement with a contemporary hip hop feel, for an inspiring, fun and complete workout. FierceFUNk is also representative of Enough is Enough, an Anti-Bullying project for school-aged children. Kyra has been recognized for her dancing and choreography in many competitions, including the Hall of Fame Dance Challenge and the Legacy Dance Championship where she was given awards for Highest Score, Intensity, 1st Place Platinum and Choreography awards. Kyra has also performed alongside the honorary Beijing Dance Academy in 2011. Kyra's dance teaching experience includes workshops at the New York City Performing Arts Center in New Jersey, all levels of hip-hop at Robert Mann Dance Studio in Bayside, as well as hip-hop master classes at Dancer's Edge in New Jersey. 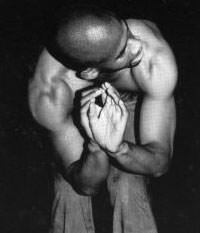 Roger was born in New York City, where he began his training at Bernice Johnson Cultural Arts Center. Roger is a graduate of The Performing Arts High School of New York City and received his B.F.A. from The Juilliard School under the direction of Benjamin Harkarvy. He has performed in the companies of Bernice Johnson, Martial Roumain, Kevin Iega Jeff, Zvi Gotheiner, Twyla Tharp, Lar Lubovitch, and with Mikhail Baryshnikov's White Oak Dance Project. He has also worked with Gary Deloatch, Dudley Williams, Eleo Pomare, Otis Salid, Debbie Allen, Danny Tidwell, Ayodele Casel, D'bi. Young, Rasta Thomas, Doug Varone, Richard Move, Mark Dendy and Obediah Wright. Inspired by his mentor Kevin Iega Jeff, he began to explore his full artistic potential as both an instructor and a choreographer. He has taught and/or choreographed works for The Bernice Johnson Cultural Arts Center, Edge School of the Arts, Devore Dance Center, Steps Ahead Dance Studio, Elisa King and Dancers, Camille Brown and Dancers, Rasta Thomas' Bad Boys of Dance, Dario Varcaro Dance Project, Cleo Parker Robinson Dance, BalletX, Philadanco!, The Juilliard School, New York Hip-Hop Festival, Da Kink in My Hair (Canadian play), Gemini Rising (play), Ballet Arabesque (Bulgaria), La Companyia (Spain), International Festival of Bennicassim (Spain), Tanz Project (Germany), Alvin Ailey American Dance Center, American Ballet Theatre/Make a Ballet Program, and Peridance Center among others. Mr. Jeffrey is currently dancing with The Metropolitan Opera Ballet Company. In 1997 Mr. Jeffrey founded Subtle Changes, Inc., a nonprofit artist collective committed to the presentation, development, and exposure of the arts. Since its first benefit concert at Fiorello H. LaGuardia High School for the Performing Arts in 1997, the company has presented work for Lincoln Center Out-of-Doors, Central Park SummerStage Harlem, E-Moves/Aaron Davis Hall, Judson Church, P.S. 122, DanceNow Festival, Theatre of the Riverside Church, JoyceSoho, Back Yard Dance Project, and Jacob's Pillow Inside/Out among others. In February 2005, the company presented its first evening-length work honoring Gil Scott-Heron entitled "the Statement 7th draft" in Brooklyn, New York. Subtle Changes is currently in pre-production for a film celebrating the life and work of Gil Scott-Heron. "Roger C. Jeffrey is one of the most sensitive and savviest of young producers in New York." "Jeffrey is a young genius at work." Kayla has been dancing at Steps Ahead Dance Studio since the age of two, and has just finished her sophomore year at Fiorello H. LaGuardia School of the Arts as a dance major. Being trained in all styles of dance, Kayla assists tap, jazz, ballet, and a competition jazz class which won 1st place overall and will be performed in Ocean City, Maryland this summer at nationals. She will also be featured as a backup dancer for "Tina Elise" for numerous benefit concerts around the tri-state area, and was offered the opportunity to travel and perform in Brazil. Rachel has been dancing since the age of 3 and has received technical training in Ballet, Modern, Lyrical, Tap, Jazz, and Hip - Hop. She has participated and performed in many dance competitions, school performances, church productions, as well as many charitable events. Rachel has traveled to California and participated in the Pacific Coast Dance Fest where she trained with celebrity dance choreographers and received intensive technique training. In addition, for 5 years she attended the Summer Arts Institute Summer Dance Intensive at Frank Sinatra School of the Arts. Rachel has considered Steps Ahead her second home for the past 17 years. She has been a teacher's assistant for four years and has been a teacher/choreographer with Steps Ahead for the past 3 years. Rachel graduated from Fiorello H. LaGuardia School of the Performing Arts as a Dance major in 2013. Receiving both academic and dance scholarships for various olleges/universities, Rachel attended Long Island University as a dance major and made the Deans list for academic excellence. Having changed her career path, Rachel is currently a student at Adelphi University. Christy has been dancing for the past 23 years. She graduated as a Dance major from both Mark Twain Jr. High School and Fiorello H. LaGuardia High School. Christy graduated with an Associates degree in Fashion Marketing from The New York City College of Technology and with a Bachelor's degree in International Trade and Marketing from the Fashion Institute of Technology. Christy currently works at Ricky's NYC as a replenishment assistant buyer. Christy also occasionally performs as a backup dancer at Resort World casino. Dance has always been a passion of Christy's. This is her fourth year teaching technique, jazz, nursery and competition classes. Christy has choreographed award-winning competition dances, and has received numerous special awards such as "clean choreography", "simply sensational", and "most entertaining." Christy is honored and proud to teach such amazing children. 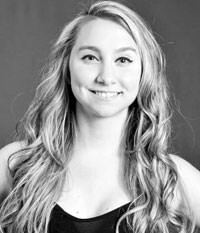 Elizabeth has been dancing for 18 years and is trained in tap, jazz, ballet, lyrical, and modern dance. Elizabeth is a graduate from CTEA high school where she studied construction management. She has continued her Education at Queens College studying early childhood education. For the past 7 years, Elizabeth has been teaching Nursery and combo classes as well as jazz, tap, lyrical, hip hop, ballet. This year she teaches a lyrical competition class and two jazz competition classes. During the 2015 competition season, her students won numerous Platinum and 1st Place awards and the X-Calibur award! Elizabeth continues to teach because there is nothing more gratifying than watching her students excel in what they love. Dawn Marie has been dancing at Steps Ahead Dance Studio for the past 16 years and is proud to call it her home away from home. DawnMarie graduated from Fiorello H. LaGuardia High School as a Vocal Major in June of 2013 and now attends Marymount Manhattan College as a Theatre Major. In pursuing a career in theatre, she is honored to have recently played some of her dream roles such as Wendla in "Spring Awakening," Emma Goldman in "Ragtime" and Daniela in "In The Heights," as well as being featured in some of her favorite shows including "West Side Story," "Into the Woods," and "Rent." DawnMarie's passion for the arts and love for her students makes teaching dance an even more rewarding and fulfilling experience. She feels truly blessed to be a part of the Steps Ahead family. Lauren has been dancing at Steps Ahead for 20 years. She is trained in ballet, jazz, lyrical, hip-hop, modern, and has attended several competitions and conventions. She has always pursued a number of art forms, and is a graduate of the Fashion Institute of Technology with a BFA degree in Illustration. This is Lauren's third year teaching hip-hop and she's so happy to share her love of dance with her students. She considers being a part of the Steps Ahead staff and family to be an honor. Victoria is from Toronto, Canada where she began training competitively at the age of 3 at the Sean Boutilier Academy of Dance. She has trained in many different styles such as ballet, contemporary, modern, jazz, lyrical, tap, musical theatre and hip hop. Victoria has completed up to the Advanced II level of Ballet Examinations of the Cechetti technique. 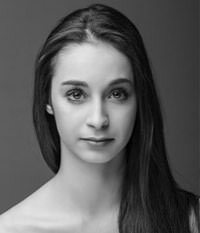 She has attended summer training programs in the past at the The Juilliard School, the National Ballet of Canada and the Joffrey Ballet School. Since graduating from the Regional Arts Program at Cawthra Park Secondary School, Victoria moved to New York City and was a dancer with the Joffrey Ballet Concert group for three seasons. 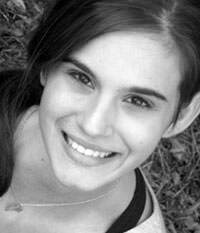 Victoria has worked closely under ballet masters Stacy Caddell, Nicole Duffy, Sam Meredith and Brian McSween. She has been featured in famous works by Gerald Arpino and George Balanchine, as well as had original works created for her by Africa Guzman, Dwight Rhoden, Roger Jeffrey, Gabrielle Lamb and Davis Robertson. Since being apart of Joffrey, she then went on to dance with Complexions Contemporary Ballet under the direction of Dwight Rhoden and Desmond Richardson. Victoria is currently a dancer with Nimbus Dance Works.